The FP7 Collaborative Re-road project (Re-road – End of life strategies of asphalt pavements) began on 01/01/09. Participants gathered early February to set the groundwork for this 3,2 M€ project. Fourteen parties are involved, consisting of ten FEHRL members. Addressing the technical and environmental aspects in recycling procedures of asphalt material, focus is on developing knowledge and innovative technologies for enhanced end-of-life strategies for asphalt road infrastructures and improving material sustainability. 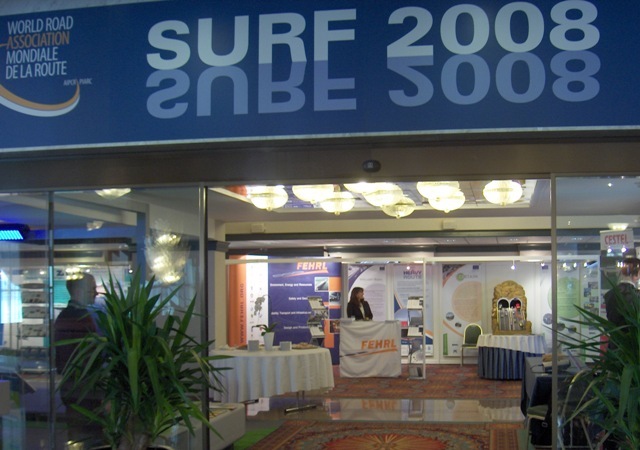 FEHRL's members provided substantial technical contributions to SURF 2008. In conjunction with the EC funded CERTAIN and Tyrosafe projects, FEHRL provided a focal point for dissemination and networking in the research field for the multinational delegates.